The most common kind of lightning observed from earth discharges from cloud to cloud or from clouds toward the ground. The more elusive forms, called sprites, take place high above thunderstorm clouds and are visible as streaks of red. Even rarer are those that take place between clouds and the ionosphere where the electric potential is hundreds of kilovolts higher than earth's surface. They are called gigantic jets and they are extremely powerful. While a typical lightning strike may travel less than ten kilometers, gigantic jets have been observed to shoot vertically up for more than 70 km. 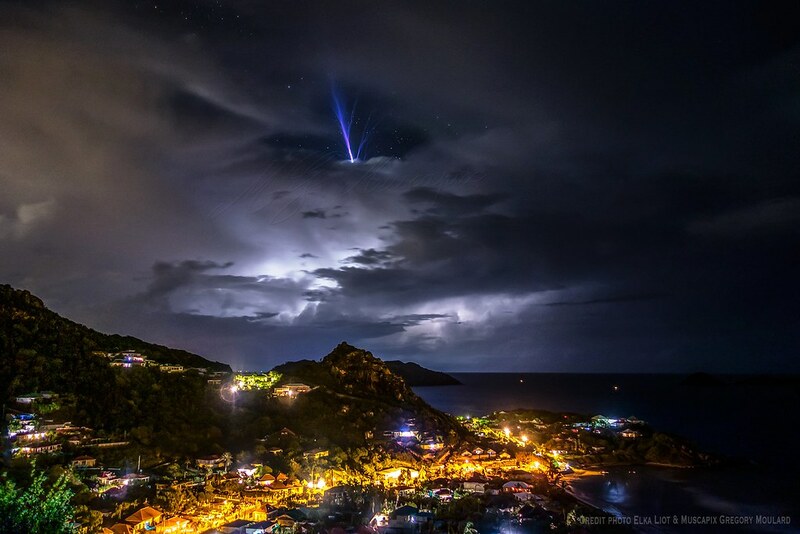 Along with sprites and blue jets, gigantic jets belong to a class of exotic forms of upper-atmosphere lightning phenomenon known as “transient luminous event” (TLE), so called because they lack several characteristics of the more familiar tropospheric lightning. It wasn’t until the end of the last century that electrical activity above thunderclouds was scientifically proven, although rumors based on undocumented observations persisted for a long time. Sprites were discovered only in 1989, and since then have been photographed by the thousands. But gigantic jets were not observed until 2001. Only a few dozen observation has been made since then. The most recent sighting was in August, 2016. Although their physics is not fully understood, researchers believe that gigantic jets could be a “missing link” in the Earth’s “global electric circuit” that helps maintain the potential difference of about 300,000 volts between the Earth’s surface and the ionosphere. The other components of Earth's global electric circuit include thunderstorms, the conducting ionosphere, the downward fair-weather currents and the conducting Earth. 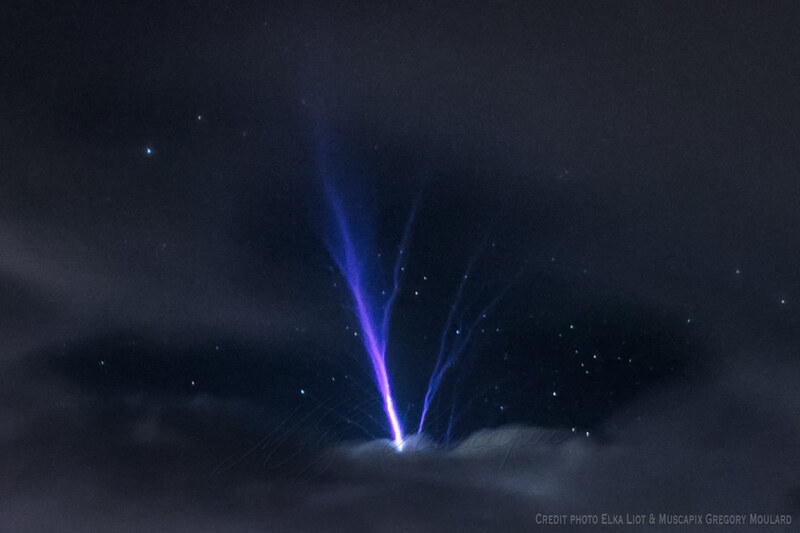 A similar but less powerful lightning phenomenon are the blue jets. These electrical discharges occur from the top of cumulonimbus clouds above a thunderstorm to the lowest levels of the ionosphere, just like gigantic jets. However, they are short and penetrate only up to about 40-50 km above the earth. Blue jets are typically shaped in a narrow cone, and as implied by their name, are blue in color. Possibly the sharpest image of a blue jet available so far.